We have covered a lot of ground in our work to increase community resilience in the face of multiple displacement in the Democratic Republic of Congo (DRC), and this week marks the release of the first in a series of papers on the topic. 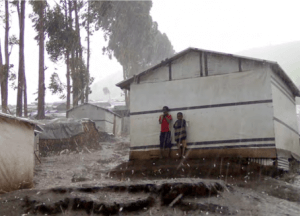 Written by our partners at the Norwegian Refugee Council and the Internal Displacement Monitoring Centre, the paper discusses our initial surveys and analysis in the areas of North and South Kivu. The analysis concludes that improving our understanding of people and their decisions for and during displacement will allow us to increase the effectiveness of humanitarian response. The social, economic, and security issues that affect the type of displacement (categorized by length of time and distance away) must be understood so that any interventions can build upon the coping skills of communities.